In 1741, William Fairfax moved his family to an imposing mansion on the shores of the Potomac River, just three miles from what would one day become George Washington's Mount Vernon. One of the earliest plantations to be established in Northern Virginia, Belvoir, as the Fairfax mansion would become known, was often visited by a young George Washington, and the relationships he built with this important family helped to launch his career. While many factors pushed George Washington to work hard and improve his standing in colonial society, it certainly didn't hurt that he had influential neighbors. When George Washington's father passed away in 1743, he spent an increasing amount of time with Lawrence Washington, his older half-brother, and son-in-law to William Fairfax, the builder of Belvoir, where he met and was influenced by one of the most important families in Virginia. Before establishing himself near what is now Winchester, Virginia, Thomas, Sixth Lord of Fairfax and owner of the Northern Neck Proprietary, made his home at Belvoir with his cousin and land agent, William Fairfax. 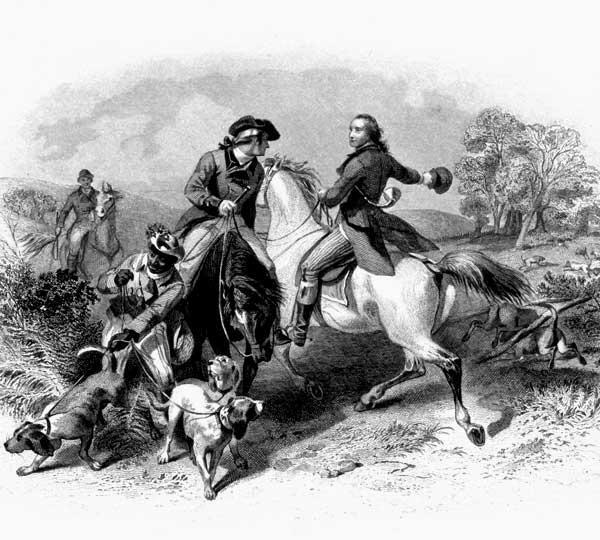 George Washington was a frequent foxhunting partner of the Lord, who instantly took a liking to him. It was Lord Fairfax who hired George Washington and George William Fairfax, William's son, to survey a portion of his vast land holdings in the Shenandoah Valley in 1748. George Washington's standing with the Fairfax family and familiarity with the frontier would make him a natural choice when Virginia Governor Robert Dinwiddie's needed a messenger to deliver an ultimatum to French forces in the Ohio River Valley in 1753. Lord Fairfax's influence would eventually help Washington receive a commission in, and eventual command of, the Virginia Regiment. George Washington also enjoyed Lord Fairfax's support during a successful campaign that saw him elected to the House of Burgesses in 1758. Although the mansion does not survive to the present day, its ruins and the Fairfax family graves were listed on the National Register of Historic Places in 1973, and are currently preserved and interpreted on the grounds of Fort Belvoir. PLEASE NOTE THAT THE SITE OF THE BELVOIR RUINS AND FAIRFAX FAMILY GRAVES ARE LOCATED ON THE GROUNDS OF THE UNITED STATES ARMY'S FORT BELVOIR INSTALLATION. FORT BELVOIR IS AN ACTIVE MILITARY BASE, AND ACCESS IS RESTRICTED. FOR MORE INFORMATION ABOUT VISITING THE SITE, PLEASE USE THE LINK BELOW TO visit FORT BELVOIR'S WEBSITE. Learn more about Sally Fairfax, and George Washington's relationship with one of his closest neighbors. A proprietary was land granted to a loyal subject of the King. In this system, the proprietor was an individual, appointed by the King, who was permitted to subdivide the land and grant, sell, or give it to others. 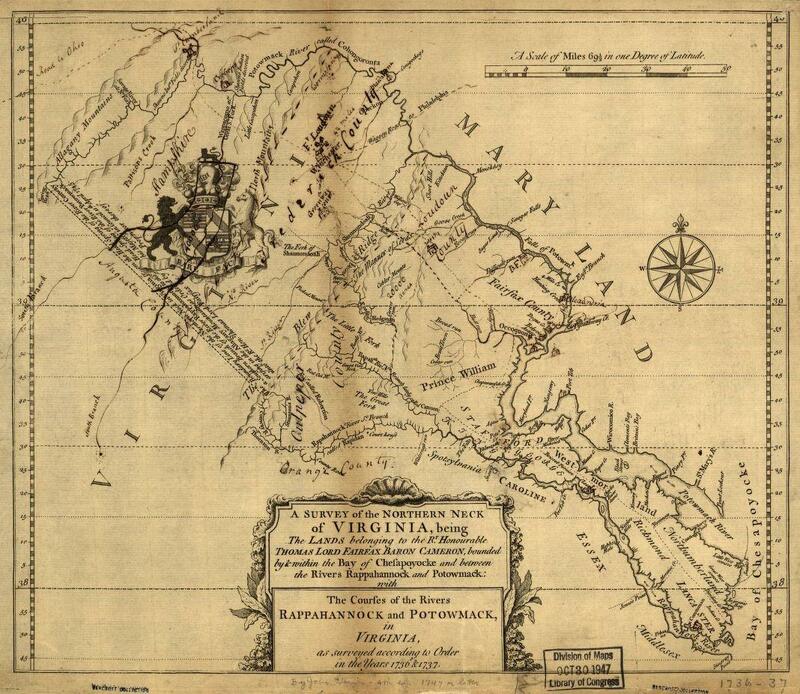 In 1649, King Charles II granted all of the land between the Rappahannock and Potomac Rivers, some 5,000,000 acres, to seven of his English supporters. Sole custody of the grant would eventually fall to one of those supporters, Lord Culpeper. Lord Culpeper’s daughter married Thomas, the fifth Lord of Fairfax, in 1690, and in doing so, the Fairfax family gained control of the proprietary. The couple's eldest son, Thomas, Sixth Lord Fairfax, would inherit the grant in 1719. 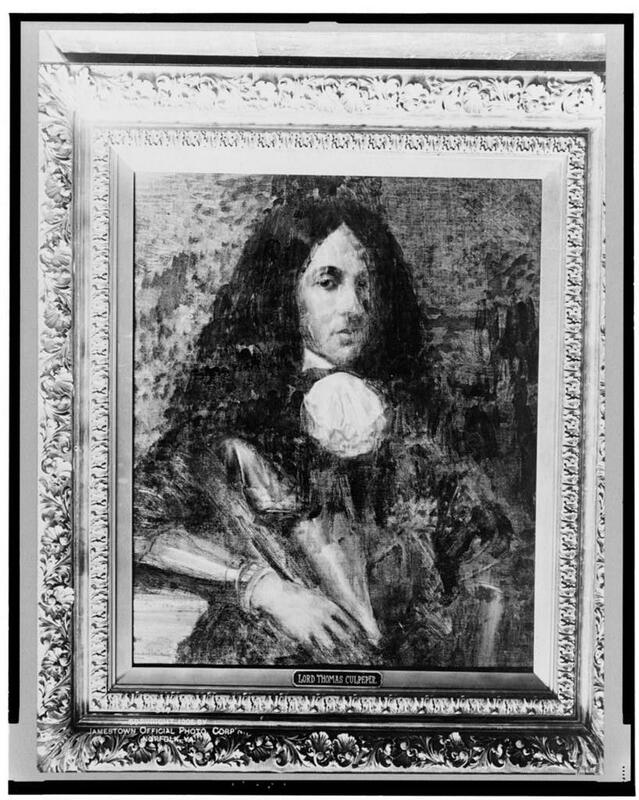 In 1734, Thomas, Sixth Lord Fairfax, who lived in England, asked his trusted cousin, William Fairfax, then living in Massachusetts, to manage his land holdings in Virginia. In 1736, William Fairfax and Augustine Washington, George Washington’s father, explored the Potomac to find suitable locations to establish his residence, and eventually selected a site for the establishment of Belvoir, which means “beautiful to see” in French. 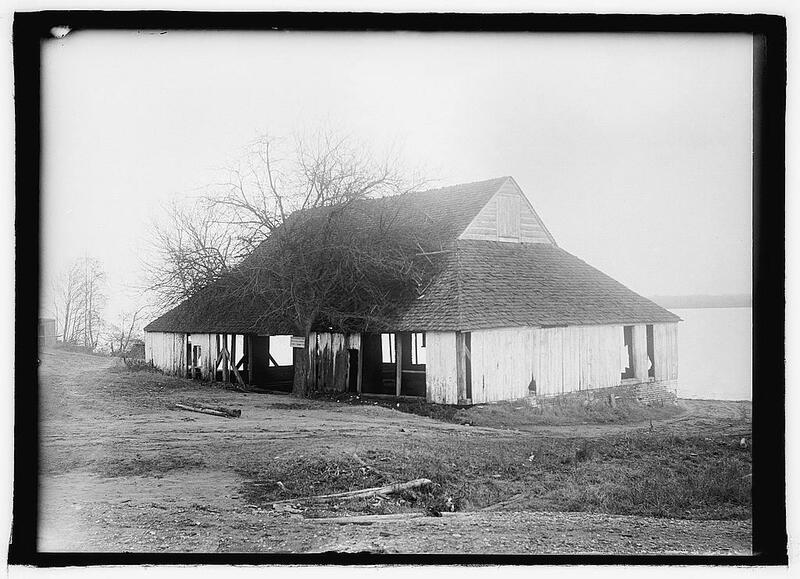 Augustine owned a nearby property that later became the site of Mount Vernon. William commissioned the construction of a Georgian-style mansion, which was completed in 1741. Between 1741 and 1773, this estate served as the family home. As with other 18th-century Virginia estates, Belvoir was surrounded by gardens and outbuildings. Several archaeological studies of Belvoir conducted since the 1930s have provided information about the outbuildings, land use, and plantation life. When William Fairfax came to Virginia, he brought many strong English traditions with him. The manor and grounds of Belvoir were laid out similarly to English estates. The brick, Georgian manor was the most sought after and fashionable architectural style in England and the colonies at that time, and its use here reflected the importance of the Fairfax family. The house was described as having five room upstairs and four rooms downstairs, including a dining room and parlor on the Potomac River side. It was flanked by exterior chimneys and two central doorway entrances to serve the river and land approaches to the house. Beyond the inland doorway entrance was a courtyard garden. Belvoir was elegantly furnished with mahogany pieces such as a shaving desk, chests of drawers, a sideboard, and imported carpets. Fine mirrors and candlesticks decorated the house, as well as a bust of Shakespeare and fine ceramic and glassware, all of which were imported and illustrated the family’s high social status. The layout of Belvoir and its grounds was similar to other later estates in the vicinity, including Mount Vernon and Gunston Hall. Belvoir bustled with activities typical of estates during this period. Family members, enslaved workers, and guests were part of daily life at Belvoir. Residents of nearby plantations traveled in the same circles, and were frequent visitors at each others homes. The Fairfaxes, Washingtons, and Masons were active in the Pohick Church vestry and attended many of the same social functions. All three daughters of William Fairfax married in the house; Anne Fairfax married Lawrence Washington, George Washington’s elder half-brother in 1743; Sarah Fairfax married John Carlyle of Alexandria in 1752; and Hannah married Warner Washington in 1763. Ornamental courtyard gardens were a luxury to create and maintain. The presence of a courtyard garden on an estate indicated the owners were wealth, educated people. Records show that the garden layout at Belvoir was based upon a garden in Stirling, Scotland. Archaeology revealed that the Belvoir courtyard was about 1,000 square feet in size, with paths dividing it into equal sections. It is likely that decorative plants, flower beds, and small fruit trees lined these paths. Two buildings thought to be garden houses, or greenhouses, were located at the northeastern and southeastern corners of the courtyard. These buildings may have been used to store gardening tools, delicate plantings, and other gardening items. The buildings provided an architectural frame for the courtyard garden which was enriched by brick walls. These protected the garden from wild and grazing animals. A similar design was used throughout the colonies and may be seen today at Mount Vernon. Of necessity, Belvoir plantation was self-sufficient. It had a kitchen garden where the family grew vegetables. Outside the walled courtyard, the family had an orchard. Little is known about the enslaved population and their lives at Belvoir. 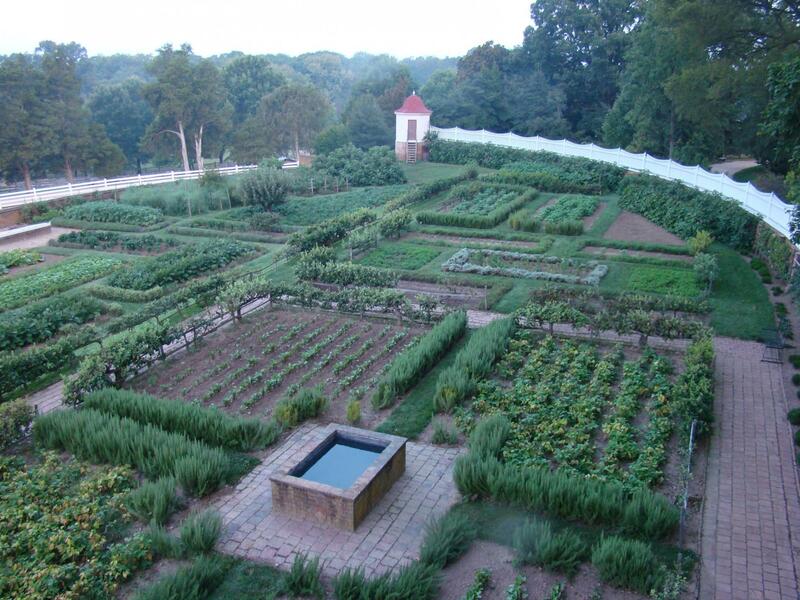 The manor was constructed at a time when wealthy Virginia farmers used slave labor to grow, harvest, and cure tobacco. Enslaved men also worked as skilled tradesmen in the countryside and in cities becoming proficient in trades such as carpentry, masonry, and blacksmithing. Many enslaved men and women worked as servants at Belvoir, and in the households of wealthier Virginians, such as Belvoir’s neighbors George Mason at Gunston Hall and George Washington at Mount Vernon. The servants worked as cooks, butlers, and personal valets and maids. 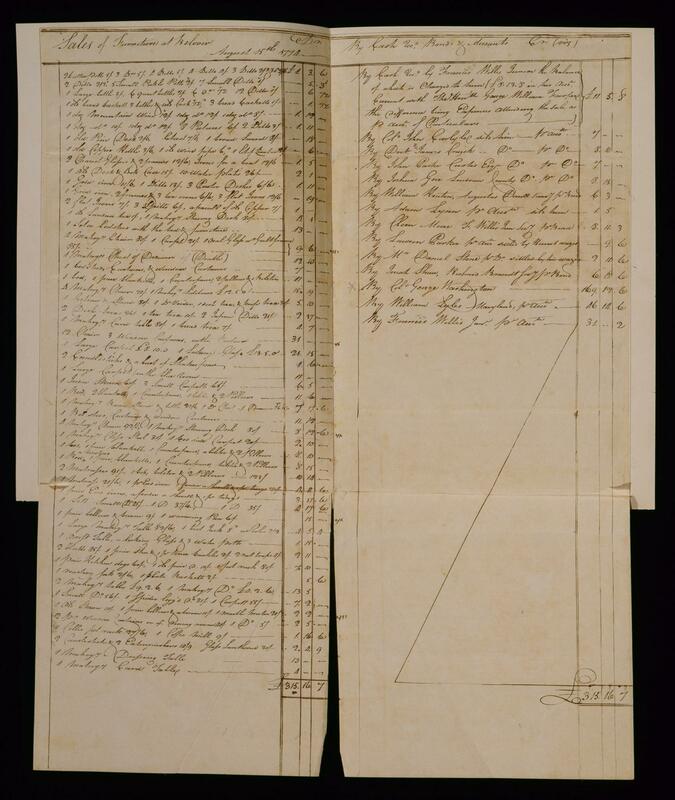 In one of the few references relating to the enslaved at Belvoir during the 18th century, William Fairfax, the original builder of Belvoir, gave slaves to each of his children as stipulated in his will. After schooling in England, George William Fairfax, William's son, returned to Belvoir to live in 1746, and married Sarah Cary, also known as Sally, in 1748. They had no children. Upon his father's death in 1757, George William inherited Belvoir. His father’s will arranged for the subdivision of his holdings and, in addition to the estate grounds, George William received three slaves. To Sarah Cary, George William’s wife, he left one young slave and her daughter. Records show that Sarah Cary was the child’s godmother. 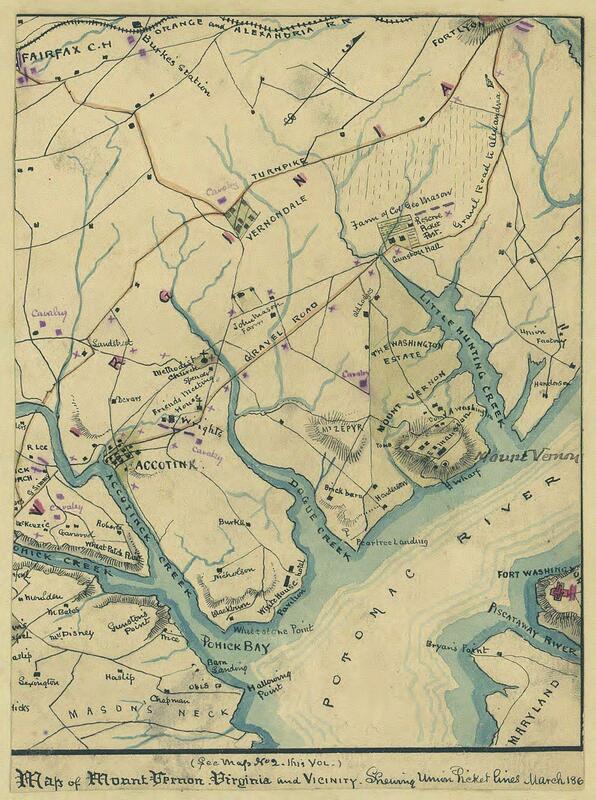 The remainder of William Fairfax’s property and slaves were willed to John Carlyle, his daughter Sarah’s husband, and to his other children Bryan, William Henry, and Hannah. In 1759, George William inherited Toulston Manor in Yorkshire, England, the birthplace of his father. George William and Sally spent three years in England from 1760 to 1763 and again returned to England in 1773 to settle inheritance issues. They never returned to Belvoir. 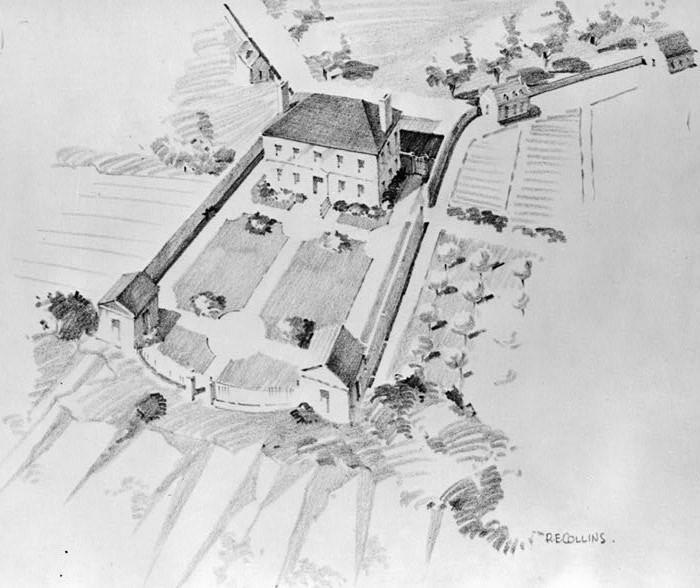 In 1774, they arranged to sell all of their possessions that remained at Belvoir. George Washington purchased many of the fine furnishings from the home, including tables, chairs, rugs, window hangings, and mirrors. After the Fairfax family moved, the house was rented by a Reverend Andrew Morton, who lived there until 1783 when it was destroyed by a fire. "But alas! Belvoir is no more! I took a ride there the other day to visit the ruins—& ruins indeed they are. The dwelling house & the two brick buildings in front, underwent the ravages of the fire; the walls of which are very much injured: the other Houses are sinking under the depredation of time & inattention, & I believe are now scarcely worth repairing. In a word, the whole are, or very soon will be a heap of ruin." When George William died in 1787, the land and remains of Belvoir were willed to his nephew, Ferdinando Fairfax, son of his brother Bryan. Ferdinando and his wife Elizabeth lived on the grounds at Belvoir, in a house known as the White House. Records show that Ferdinando lived on the property when he prepared his will in 1799. However, Ferdinando also owned several other properties and only lived at Belvoir for a short time. Ferdinando Fairfax’s will reveals his personal convictions, including his belief that slavery was an injustice. Ferdinando bequeathed slaves to family members, stipulating they were never to be sold. He insisted on their fair and just treatment and set terms for their freedom. Ferdinando donated a large portion of the Fairfax family fortune to causes and institutions, such as public libraries and free schools. He served as a civilian volunteer during the four-day Battle of the White House in the War of 1812, and was commended for his bravery. Ferdinando Fairfax died in 1820, and with him died the Fairfax family association with the Belvoir property. In the 1830s, William Herbert bought the land and in 1841, the property was purchased by Philip Otterback, and became known as Otterback’s Woods. By 1910, land that included Belvoir was sold to the United States government. In 1912, the land was transferred to the War Department, and designated for use as an Army training site that was first used in 1915. By 1918, the land would become part of Camp A.A. Humphreys, and training exercises conducted there would include rifle practice, trench warfare, and the building of floating, or “pontoon,” bridges. After World War I, Camp Humphreys retained a small garrison, and expanded from its original 1,500 acres to 6,000 in 1919. In 1922, the Camp was renamed Fort Humphreys, a permanent post. In 1935m the post was renamed Fort Belvoir, and expansion efforts began. 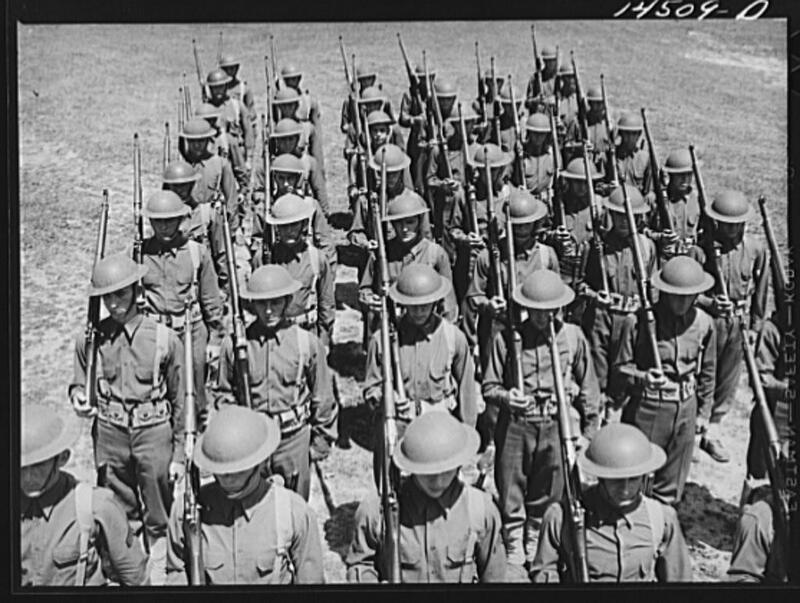 By the end of World War II in 1945, almost 150,000 engineer troops had been trained at Fort Belvoir. Since that time, Fort Belvoir has provided many vital services to the Nation. Today, Fort Belvoir serves the National Capital Region as an administrative support center. 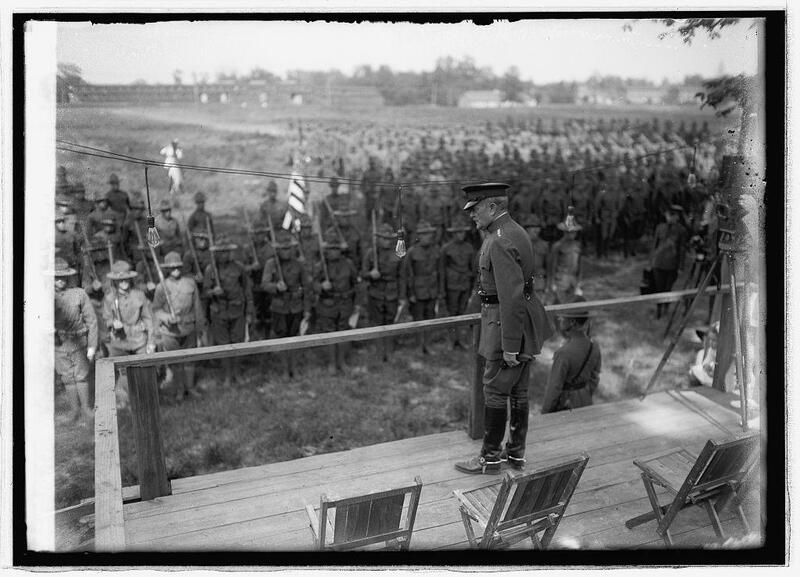 In 1931, Colonel Edward H. Schulz, Commanding Officer, began the first archaeological investigation at Belvoir. In the 1970s, Captain George Shott, Jr. undertook a four-year archaeological investigation, supported by the U.S. Army Engineer Museum, in partnership with Fairfax County Public Schools. The project resulted in listing the Belvoir Ruins and Fairfax Family Gravesite in the National Register of Historic Places in June 1973. Since that time, there have been other archaeological investigations of the Belvoir site, yet there is still much left to be learned about life in the 18th century and the Fairfax family. The Army has been a steward for this important site by providing for research, preservation, and interpretation. It was common practice in the 18th century for residents of estates to be buried in family cemeteries on their property. William Fairfax and his second wife Deborah, who died in 1757 and 1747, respectively, and William’s sons, Thomas and William Henry are buried here. 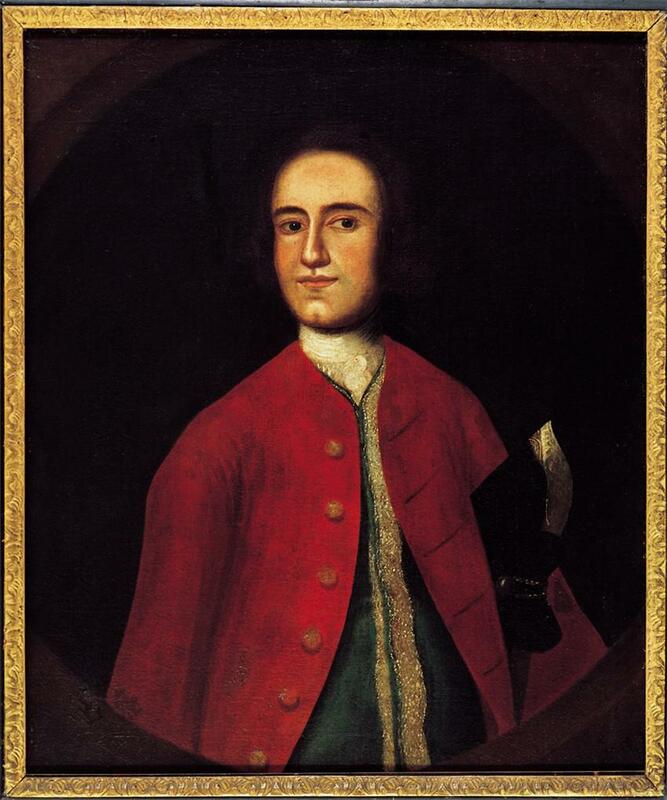 Thomas Fairfax, son of William and his first wife, Sarah Walker, died in a naval engagement with the French off the coast of India in 1746 while serving as a midshipman in the Royal Navy. William Henry died in 1759, while serving in the 28th Regiment of Foot during the Battle of the Plains of Abraham. 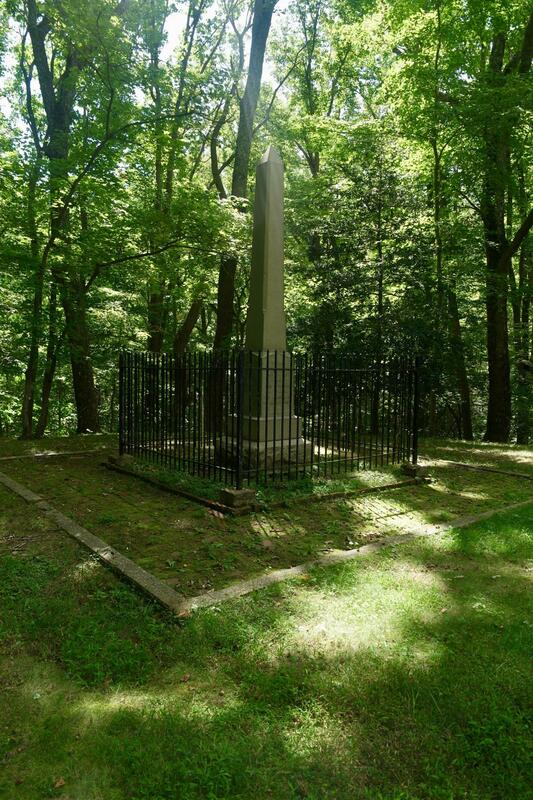 Circa 1924, Fairfax family descendants replaced the original stone grave markers with the Fairfax Family Monument. This monument, erected circa 1924 by the Fairfax family, memorializes William Fairfax, who built Belvoir, and his wife Deborah Clarke, who died in 1757 and 1747, respectively. The monument also honor Thomas and William Henry Fairfax, two of William’s sons.